Can foreign domain names (country level TLDs) be hosted by VIP PowerNet? Yes. Most foreign domain names (country level TLDs) can be hosted by VIP PowerNet. Can I sign up for multiple VIP PowerNet accounts? Yes. We welcome our clients to have as many accounts as they need. Can I use VIP PowerNet services without a domain name? VIP PowerNet is a domain-based hosting service and all users of our service is required to have a top-level domain name. How can I transfer my domain to VIP PowerNet with minimal website and email disruption? How can transfer my domain to VIP PowerNet with minimal website and email disruption? We can pre-activate your account before DNS changes are made so that you have upload your web content to our server before the activation of your account. 1. 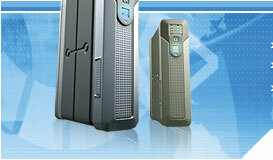 Sign up for VIP PowerNet transfer hosting account. 2. Send us your request for account pre-activation, through our Contact Us Form. 3. We will pre-activate your account so that you may FTP your web content to our web servers via the server IP address. 4. Once your content is on our server, you may safely make the DNS changes. 1. Enter the desired domain name in the Domain Name page and click next step. 2. Our search engine will contact the registry and confirm if the domain name is taken or available. How does the transfer registrar process work? What do I need to do? The domain administrative contact email address for your domain name MUST BE functional for this to work. If the Admin contact's email address is no longer valid, you MUST contact your current registrar to have the email address updated. After the transfer registrar request is received by us, we will charge your account for the domain annual fee. Once charge is successful, we will send transfer request to your old domain registrar. Some registrars have added their own confirmation requirements for transfers away from their system, so please be aware of these procedures. If the old registrar takes no action, then the transfer is automatically completed after a grace period of 5-9 days. The old registrar can refuse the transfer if the domain is past due, expired, or for any of many other reasons. In the event that your current registrar refuses the transfer process, you will have to contact them directly. At any time during the transfer process, feel free to contact us and ask for the current status of your transfer. We will inform you of what step in the process you are currently in, and what you may need to do to speed up the transfer process. How long can a domain name be and what are the character restrictions? A domain can have a maximum of 63 characters not including the extensions (.com, .net, etc) and must be at least 3 characters in length. A domain name can contain numbers, letters or a dashes. A domain can not start nor end with a dash. The only valid characters for a domain name are letters, numbers and a hyphen "-". Other special characters like the underscore "_" or an exclamation mark "!" or spaces are NOT permitted. How long does the domain registration process take? Domains are registered soon after receiving your application. However it normally requires 24-48 hours for the registration record to synchronize between databases, or propagate, and for your domain name to be useable. How will I be able to tell if my desired domain name is available? When you begin registering a domain name through our website interface, our system will search the registry domain name database to see if your requested domain name is available and inform you immediately. I want to reserve a domain name. Can I just park it if I don't have a web site yet? Yes, any domain name registered will be supplied with our default "Under Construction" page. This will help you reserve the name until you are ready to use it. If we just want to transfer our existing domain name, can we still take advantage of your hosting services? Is my information with VIP PowerNet secure? All information in our client database is securely protected and not sold to any third parties. All sensitive information submission pages are secured by encrypted connection. For more information please see our Service Policies. A domain name is owned by the organization listed under as the domain organizational contact. Domain names are registered with the ownership rights reserved to the customer. You will always own your domain and you can move your domain if you choose to. What are some of the domain name extensions available for registration through VIP PowerNet? 1) .COM Orginally used by commercial entities. It is the most popular top-level domain. Anyone can register a .com domain. 2) .NET Originally used for networking organizations such as Internet Service Providers and backbone providers. Today, anyone can register a .net domain. 3) .ORG Designed for miscellaneous organizations, including non-profit groups. Today, anyone can register a .org domain. 4) .BIZ Used by commercial entities. Released for use in Oct 2001. Open for registration to organizations who engage in commercial transactions. 5) .INFO Unrestricted domain name extension for any type of website. Anyone can register a .info domain. 1) .CA Domain name extension for any individual or organization meeting CIRA's Canadian presence requirement. 2) .UK Unrestricted domain name extension open for any individual or organization to register. 3) .TV Unrestricted domain name extension open for any individual or organization to register. 4) .US Domain name extension for any United States citizen, United States entity or organization that is incorporated within the United States or entity or organization that has a bona fide presence in the United States of America. Coming April 2002. What are the new domain extensions and when can we start registering them? 4) .pro for professions such as law, medicine, accounting, etc. What happens to the contact information collected in the registration procedure? We do not release any of your personal data, other than the information required to be sent to the central registry, to third parties. For more information, please refer to our Service Policies. What if the name I want to use is already taken? You will need to choose an alternative domain name. If you feel that you have a legal right to that domain name you could follow ICANN domain dispute policy and try to regain ownership of that domain name. A domain name is an easy to remember address system used to identify website locations on the Internet. A domain name is essentially an address on the Internet. Every website you've ever visited, and every e-mail you've ever composed has utilized a domain name in its address. People register domain names to reserve a particular name for use - whether for business or personal reasons. Once a domain name is registered to a person or company, it is that person's to use exclusively as long as they continue to pay the annual fees. 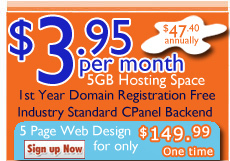 Some domain names you might be already familiar with may include: www.msn.com - MSN www.yahoo.com - Yahoo! www.cnn.com - CNN www.google.com - Google www.vipwh.com - VIP PowerNet. A registry is an organization which is sanctioned by ICANN to operate and maintain a master database in central computers for a particular domain name extension. The master datebases are accessed by individual DNS servers to find IP addresses for domain names. Generally public registration services are offered by domain registrars and not by registries. Every computer on the Internet has a numeric address called IP-Address that is used to identify the location of the computer. An example of an IP Address is 209.53.186.1. In essence, this should already serve as the locator of websites but this kind of addressing system is cumbersome and hard to remember for people. Also, when the owner of a website decides to move servers, he has to change the IP addresses too since an IP Address is tagged with the server and its physical location. Having a domain name will eliminate the need to remember an IP Address. Each domain name is given an IP Address so that it can be located in the World Wide Web. When a domain name moves to another hosting facility, the IP address also changes but not the domain name. URL stands for Universal Resource Locator. Some people refer to it as a web address (although URL is not limited to the web). An example of a URL is http://www.vipwh.com. Please note that a URL is a unique identifier. No two websites can have the same URL. This is the reason why you should register your domain name before someone else does. DNS stands for "Domain Name Service". It translates domain names into IP addresses that computers understand. For example, if someone wants to access msn.com website, DNS will translate the domain name into the IP address 207.68.172.246, which will allow the user's computer to locate VIP PowerNet's web server. Many Internet providers offer you a directory under their own domain name. Most of the time, they look like this: http://www.domain.com/~yourname. These type of addresses are difficult to remember and look unprofessional. Registering a domain name for your business or organization gives you a unique and professional identity on the Internet. Why doesn't VIP PowerNet appear as an ICANN accredited registrar? VIP PowerNet registers domains through the Tucows shared registration system which give us access to registration services much like an ICANN accredited registrar while allowing us to share overhead costs and pass cost saving on to you. Our domain name registration services are no different than services provided by ICANN accredited registrars such as Register.com or Network Solutions.